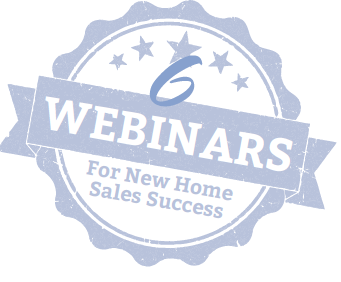 Lasso CRM teams up with NAHB’s Professional Women in Building for a complimentary six-part webinar series for new home sales professionals. We are thrilled to announce that for the second year, Lasso has teamed up with NAHB’s Professional Women in Building to bring you Fresh Perspectives, a FREE webinar series for new home sales success! Fresh Perspectives, offered May-July 2015, is geared to all new home sales professionals and will cover a range of topics, including sales techniques, marketing strategy, green building, and success in the workplace. 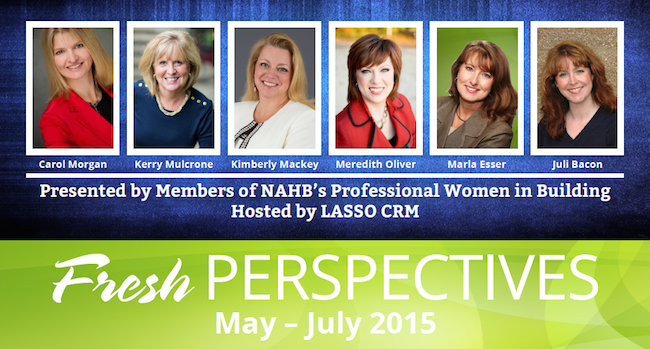 All webinars are presented by members of NAHB’s Professional Women in Building and hosted by Lasso.